An extraordinary medieval document in praise of the Prophet Muhammad, authored by the Founding Emperor of the Ming Dynasty, Zhu Yuanzhang. Click here to read the text in a revised English translation and original texts. • Click here for a recent study and translation by Brendan Newlon. And listen to Chinese and English readings below. 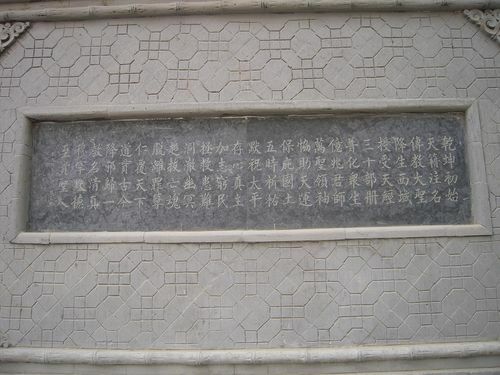 One of the existing copies of the poem, Dongguan Mosque, Xining. 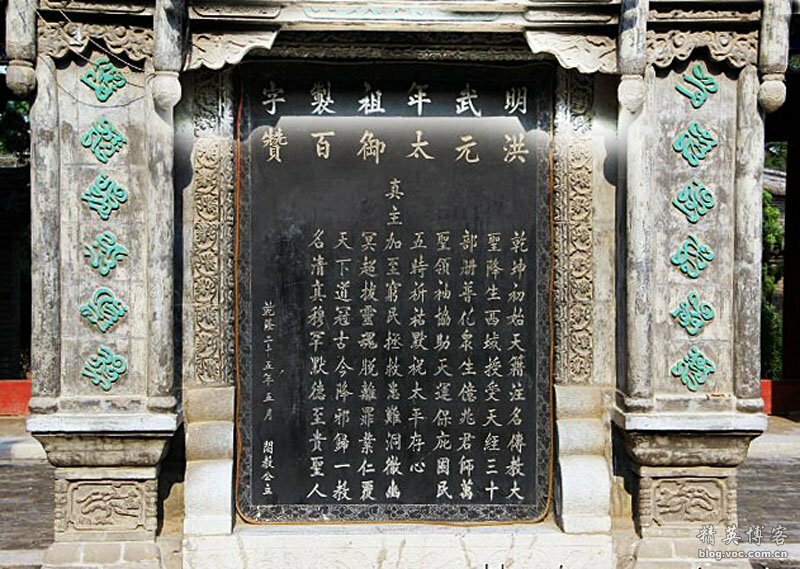 Another inscription at China’s oldest mosque, Xi’an. Read in Chinese By Jenny Zhao.